All of the fresh guacamole and avocado taste you love and none of the work! 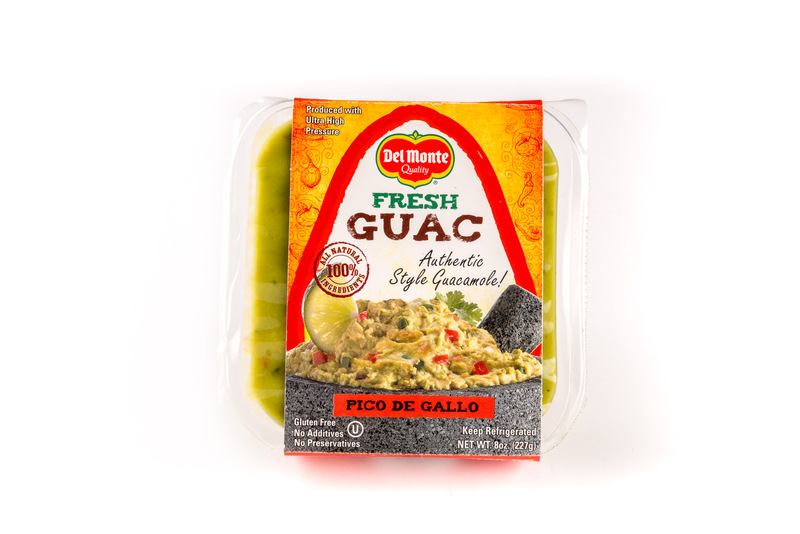 We are now offering our newest and freshest tasting products, Del Monte® Fresh Guac and Fresh Avocado. We use fresh veggies, creamy Hass avocados, and a dash of salt (for flavor) to create our delicious guacamole. 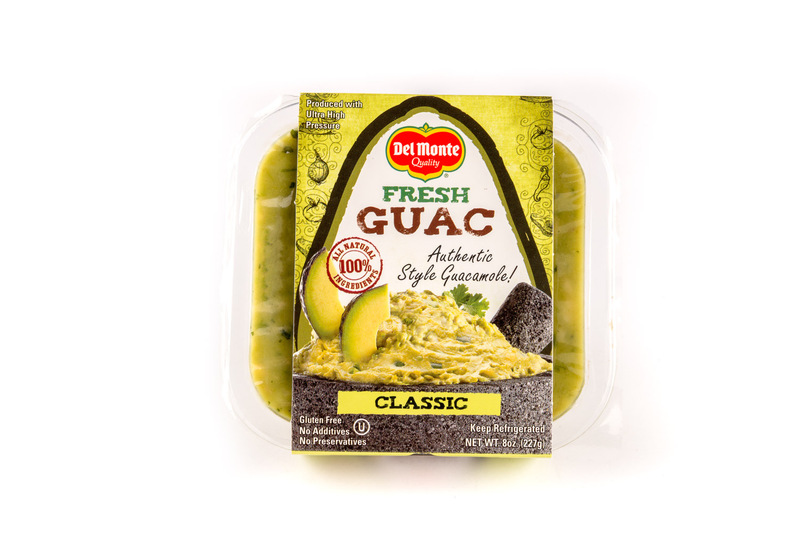 Del Monte® Fresh Guac comes in an assortment of flavors in convenient packaging, is preservative free, and always ready-to-eat. We are able to maintain all of that fresh taste, nutrition, and chunky deliciousness by using a special ultra-high pressure (UHP) technology. The UHP technology helps kill unwanted bacteria without using heat, preservatives, or anything else you wouldn’t put in your fresh guacamole. Del Monte® Classic Fresh Guac is prepared with the perfect blend of fresh veggies and chunky Hass avocados. Always ripe and ready to eat, it is great for a crowd-pleasing party dip or to enjoy as a nutritious and convenient snack. Del Monte® Pico de Gallo Fresh Guac is prepared with a delicious blend of your favorite fresh pico de gallo and creamy Hass avocados. The result? A perfectly refreshing and zesty guacamole flavor! 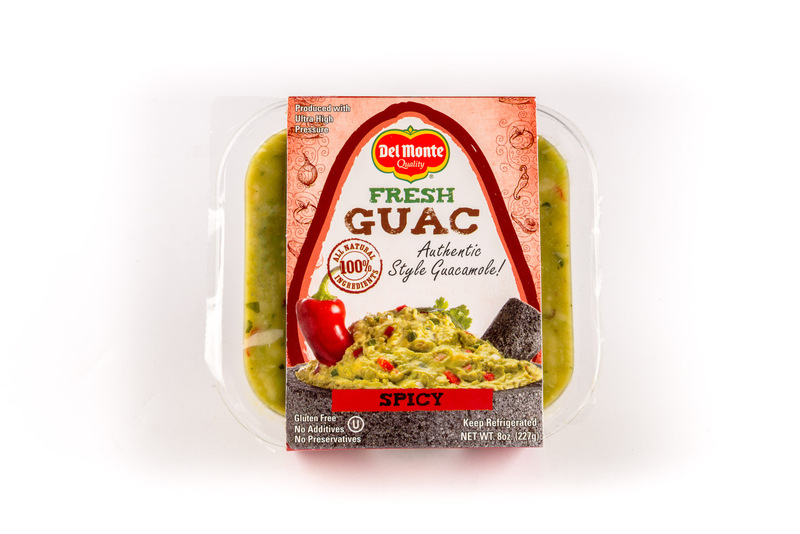 Del Monte® Spicy Fresh Guac is prepared with a mix of fresh veggies and chunky Hass avocados with that hint of delicious spiciness you love in your favorite guacamole. Bring it to your next party to add a little zest, there won’t be an un-dipped chip left in the house! 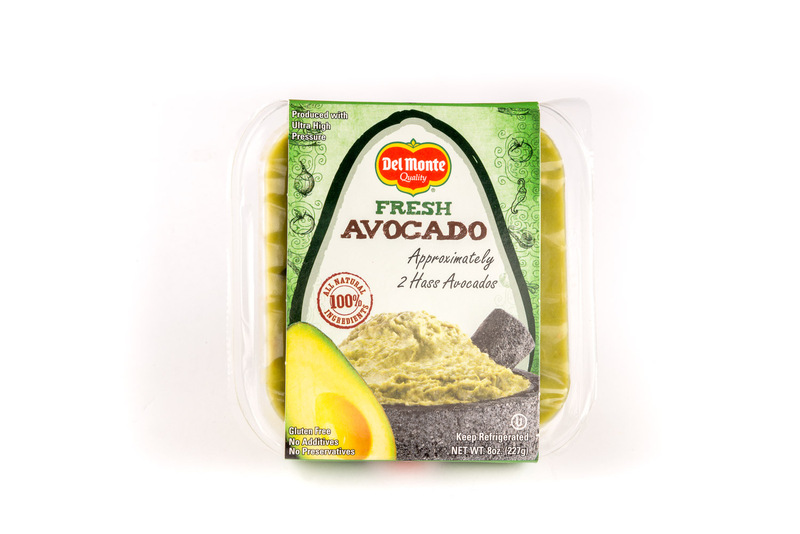 Del Monte® Fresh Hass Avocado is a ready to eat, chunky, all natural avocado product. Always perfectly ripe, you can use Del Monte® Fresh Hass Avocado as a base for dips, as an addition to salads, or even as a spread.